Dental implants are an effective solution for those with missing tooth problems. But if that needs to be more effective, you’ll need to take good care of it especially during the recovery period. Patients are likely to feel hunger after surgery, but one has to be cautious about the types of food they have to take during this time. 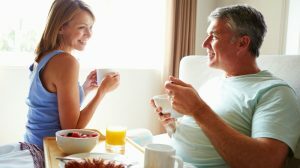 Here are 6 recommended foods you shall eat during the recovery period of dental implants in Sydney. In the initial few days after teeth implants procedure, liquid foods are the only ones you must have. Go for soups, fresh juices, smoothies and similar ones that are easy to consume. Make sure the liquid foods are rich in nutritional content especially calcium that enhances teeth health. As for juices, opt for citrus fruits such as grapes and oranges in moderation. Remember though, too much of citrus fruit consumption might possibly damage the tooth enamel as they are highly acidic. Scrambled eggs with soft cheese is another ideal option to go for. They are easy to chew and healthy at the same time. Eggs are rich in phosphorus that plays a great role in maintaining healthy teeth. Furthermore, eggs yolks stimulate absorption of calcium that contributes to strong teeth. Sweet potato is a great recovery food. Not only they can be easily boiled and mashed for easy chewing, but they help in enhancing gum health at the same time. This is because sweet potatoes are rich in Vitamin C.
You could also opt for cooked cereals. They are highly nutritious and easy-to-chew as well. If you like oatmeal, you can make it even more delicious by topping it with mashed blueberries. Even better is a cream of wheat that is topped with some butter and cinnamon. Green leafy vegetables such as spinach also does great for oral health. Due to its soft texture, they are effortlessly chewable. And of course, as it comprises of great levels of calcium, healthy teeth are guaranteed. Those who love meat do also get to make their choice of recovery foods after the procedure of dental implants in Sydney. Just make sure they are soft, tender, and moist, so that they don’t go hard on your gums and teeth. Choose soft cooked fish such as salmon, halibut, and cod, as they are all rich in Omega-3 fatty acids that brings down inflammation and swollen gums. You should now know that there’s a great range of foods that are not just simple to consume, but immensely healthy at the same time. Alongside consuming any of these foods during your recovery after the dental implants procedure, make sure you adhere to your dentist’s instructions to heal as fast as possible. If you are looking for a specialist who offers this procedure, research about dental implants cost first. Still not convinced with the above list of foods? You can also seek your dentist’s advice and obtain their suggestions on the same.